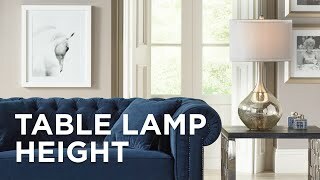 With a dramatically rich palette and beautiful shape, this lamp from Kenroy Home finds a home in a casual master suite or living room. Gorgeous colors complement a fabric tapered drum shade. This red ceramic glaze table lamp features the convenience of a three-way rotary switch. 30" high x shade is 13" across the top, 16" across the bottom, 11 1/2" on the slant x round base is 6 3/4" wide. Lavo table lamp from Kenroy Home. Red ceramic glaze finish; light gold fabric tapered drum shade. Beautiful colors that match my home decor. We’ll see how well they match when received & will comment again. We chose these Lamps because they matched our Decor in Our Living Room. 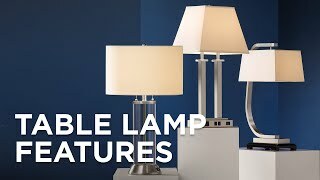 What is the weight per lamp? BEST ANSWER: Hi - The lamp weighs 6.60 pounds. 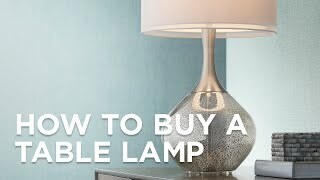 What color is the dark color on the lamp base? 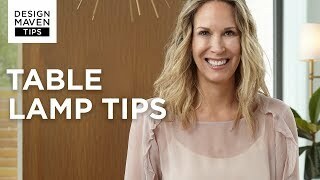 BEST ANSWER: Hi Janet - this design has a hand-applied glaze, so colors may vary slightly from lamp to lamp, but the darker color tones range from deep grays and blues to blacks. BEST ANSWER: The finish is described as red ceramic glaze. But, I do see variations of red tones throughout the base which may include a hint of rust color. 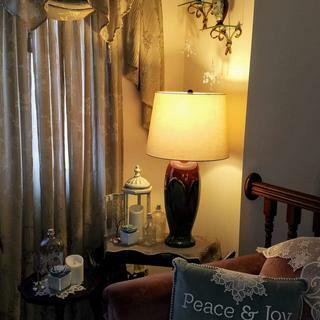 These beautiful Lamps have become a very nice addiction to our soft southwest decor. At the time of purchase we decided to buy two and as a pair the light filtered thought the shade adds a very soft glow to the room. I am very happy with our purchase. Wife loves these lamps. They go perfectly with our bedroom color scheme. 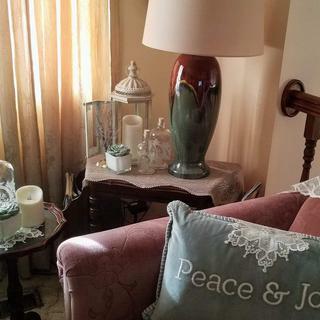 This apothecary style glass table lamp features the designer color Antique Red on the base and coordinating drum shade. Handmade in Californiathis vibrant design features a Cabernet Red Metallic color for extra sparkle and is topped with a contemporary burlap drum shade.